The actor has passed away. CNN reports that Earle Hyman died on Friday, Nov. 17, 2017. A representative for The Actors Fund, Jordan Strohl, noted that Hyman had passed while at the Lillian Booth Actors Home in Englewood, N.J. He was 91 years old. Hyman, a successful theater and TV actor, was perhaps best known for his role as Bill Cosby's father, Russell Huxtable, on The Cosby Show. The part earned Hyman an Emmy nomination for Outstanding Guest Performer in a Comedy Series. Having acting alongside Hyman in episodes spanning from 1984 to 1992, Cosby addressed the actor's death on Sunday, Nov. 19. 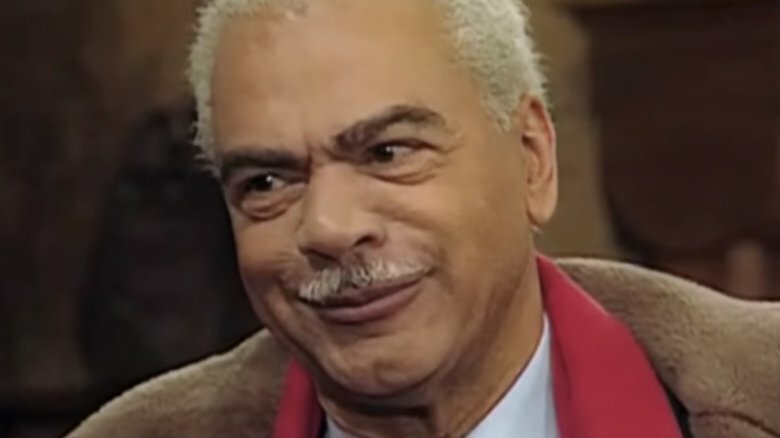 "Earle Hyman brought love, dignity and integrity to Grandpa Huxtable," he tweeted. "Thank you, Earle, you will live forever." In addition to his many stage credits, Hyman, a Tony-nominated actor, also gained recognition for voicing a number of characters on the cartoon Thundercats, which aired on TV from 1985 to 1989. No details regarding Hyman's death have been released at this time.